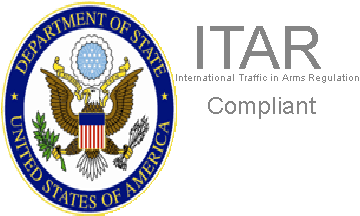 International Traffic in Arms Regulations (ITAR) is a United States regulatory regime to restrict and control the export of defense and military related technologies to safeguard U.S. national security and further U.S. foreign policy objectives. The U.S. Government requires all manufacturers, exporters, and brokers of defense articles, defense services or related technical data to be ITAR compliant. For a company involved in the manufacture, sale or distribution of goods or services covered under the United States Munitions List (USML), or a component supplier to goods covered under the USML, the company is required to be ITAR compliant, meaning the company must be registered with the State Department’s Directorate of Defense Trade Controls (DDTC). Overall, the U.S. government is attempting to prevent the disclosure or transfer of sensitive information to a foreign national.